The 2019 Honda CB300R, inspired by the Honda Neo Sports Cafe concept will be priced below Rs. 2.5 lakh (ex-showroom). Honda Motorcycle and Scooter India (HMSI) has confirmed the Honda Neo Sports Cafe concept inspired Honda CB300R for India. The Honda CB300R has radical new styling in-line with the bigger Honda CB1000R, and the design is based on the Honda Neo Sports Cafe concept, a neo-retro, cafe racer concept. Now, HMSI has announced that the Honda CB300R will be available on sale in India, and assembled here from completely knocked down (CKD) units. Bookings are already open at select Honda dealerships for ₹ 5,000 and the CB300R will be priced below ₹ 2.5 lakh (ex-showroom). "Driven by the need to discover and challenge new frontiers, the CB300R is for true enthusiasts willing to try new ideas and experiences. Not only will it add more adrenaline to daily riding, Neo Sports Café styled CB300R is sure to turn around heads on the streets. The CB300R will be Made-in-India and priced below ₹ 2.5 lacs (ex-showroom) for customers to experience Honda's superior technology and thrill of riding. We welcome all our customers for the bookings starting today," said Yadvinder Singh Guleria, Senior Vice President - Sales and Marketing, Honda Motorcycle and Scooter India. The Honda CB300R is powered by a liquid-cooled, 286 cc, DOHC, single-cylinder engine which puts out 30.9 bhp at 8,500 rpm and peak torque of 27.5 Nm at 7,500 rpm. Power is transmitted to the rear wheel via a six-speed gearbox and the kerb weight is rated at 143 kg. The fuel tank capacity is 10 litres, and Honda claims the range of the CB300R will be over 300 km in a tankful of fuel. The CB300R has 296 mm front disc brakes with radial mounted four-point brake calipers with standard ABS. And the sophisticated braking system is supported by an inertial measurement unit (IMU) seen on high-level sportbikes, to give precise front to rear distribution of ABS depending on the vehicle posture controlling the roll, pitch and yaw of the motorcycle. Full LED lighting, a full-digital LCD instrument panel and a completely radical and neo-retro design give the CB300R a unique and stylish design. 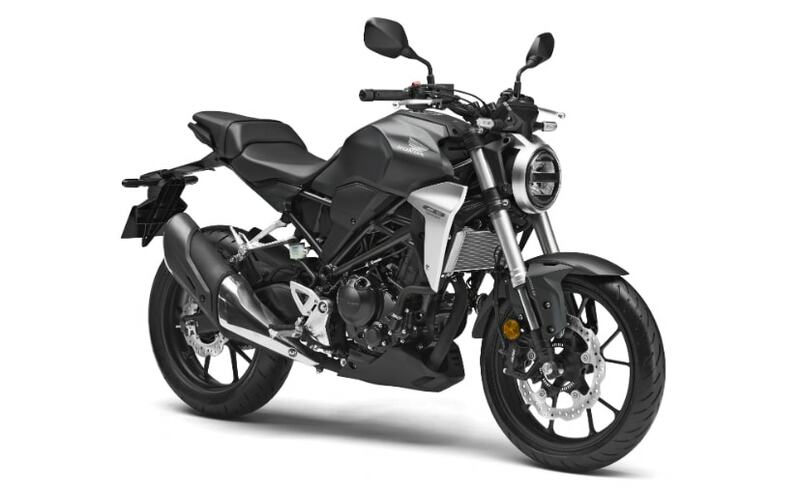 The Honda CB300R has been on sale in markets like Thailand, Europe and the US for sometime now, and when we first laid our eyes on the CB300R at the 2018 EICMA show in Milan, the CB300R certainly made for an attractive proposition for the Indian market. Now, HMSI seems to have given some thought, and with an attractive price, the CB300R could be the next volumes driver in the rapidly growing 200-500 cc motorcycle segment. 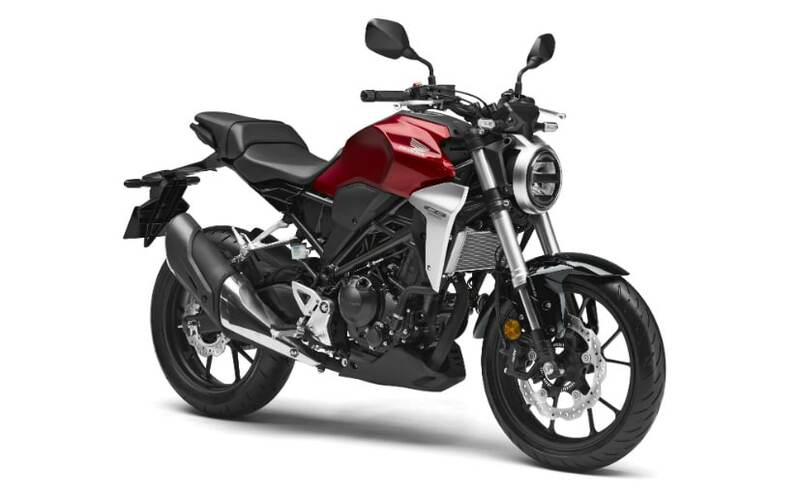 In India, the Honda CB300R will be available in two colours - Matte Axis Gray Metallic and Candy Chromosphere Red. Bookings are available at select Honda Wing World outlets across the country. Once launched, the Honda CB300R will directly compete with the BMW G 310 R, as well as the KTM 390 Duke in India.